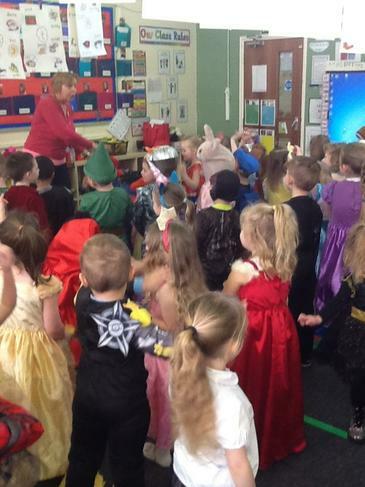 Pupils dressed up as their favourite characters on Thursday. They all looked amazing and there was a buzz of excitement around the importance of books and reading. 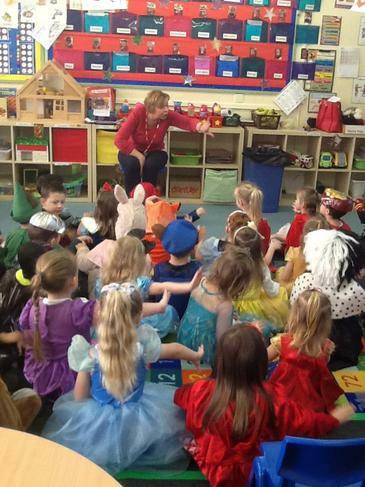 All classes had the opportunity to meet and listen to a story teller - she inspired the children and they were able to join in with the retelling. Year 5 finished his celebration by visiting the library on Friday 8th March. 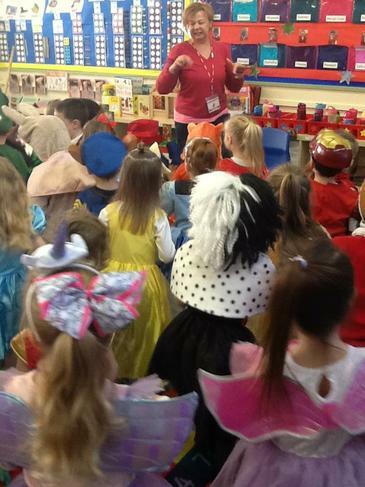 Thank you to all parents for organising the children's costumes.